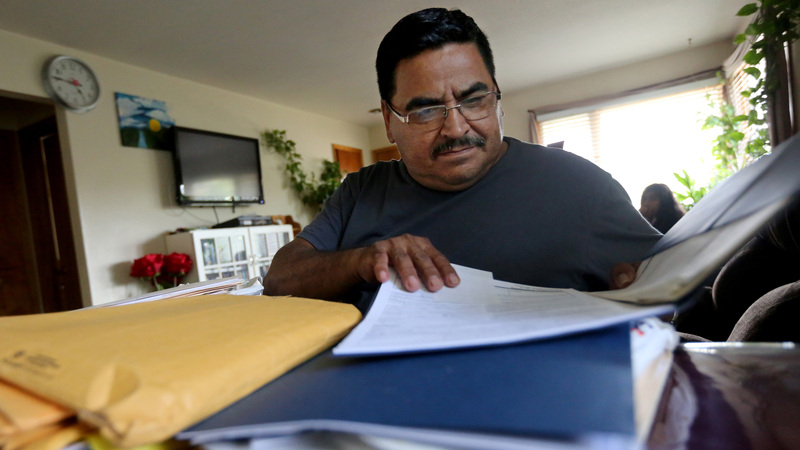 Herberth Cortez Gaitan sorts through years worth of documents at his Sioux Falls, South Dakota home on July 20, 2018. He waited 16 years for his asylum application to be heard and denied. After he was deported, a federal court found that immigration courts ruled incorrectly — but it took two more years and piles of bureaucracy for him to return to the US from Guatemala.